Our Hayward dental office is staffed with caring, skilled professionals, dedicated to simplifying what is often a very complicated and confusing area of health care. We want all our patients to be informed and knowledgeable about their dental health care, from treatment plans and services to insurance coverage. We look forward to assisting you in achieving optimal oral health and a beautiful smile. Raised in San Francisco, Dr. Chun had interest in dentistry since an early age when she worked as a dental assistant in high school. She attended UC Davis and graduated from University of Pacific School of Dentistry. Dr. Chun is highly committed to her patient's dental health and truly enjoys her profession. Although she enjoys all aspects of dentistry, she particularly likes working with children. Dr. Chun has proudly met the general and cosmetic need in the Hayward area for over 25 years. 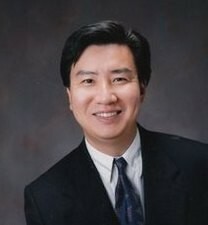 Dr. Peter Han has enjoyed practicing Preventive and Comprehensive Restorative Dentistry for over 20 years in Hayward. He earned his dental (D.D.S.) degree from the University of the Pacific in San Francisco and also holds a degree in Computer Science from UC Davis. Dr. Han is able to offer the highest level of dental care through his strong commitment to continuing education and extensive experience in many field of dentistry. Dr. Han’s philosophy is to treat dental problems early, thus preventing extensive and costly treatment later. Dr Peter Han is a member of California Dental Association (CDA) and the American Dental Association (ADA). Dr. Tran's passion for orthodontics began from her own treatment in braces when she was a teenager. Having experienced first hand how orthodontics can transform a person's smile and boost one's confidence, she is excited to provide that service to her own patients to help them reveal their beautiful smiles. 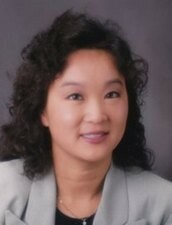 Dr. Tran received her undergraduate degree from the University of the Pacific. She graduated with top honors with a degree in Biology and a minor in Chemistry. She also studied abroad in Spain where she learned Spanish and studied Spanish cuisine. 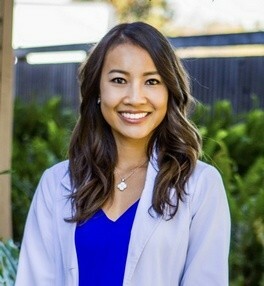 Dr. Tran completed her dental education at UCLA School of Dentistry. Immediately following dental school, Dr. Tran completed her Masters in Orthodontics and Dentalfacial Orthopedics at Loma Linda University. In her Free time, Dr. Tran enjoys spending time with her family and friends. Her hobbies include staying active, exercising and traveling.